"The California Kid" Urijah Faber this Sunday (February 2). 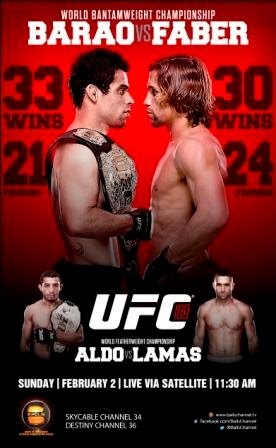 Barao, who is unbeaten for over 8 years, has defended the Bantamweight Championship title twice, a record in the UFC. On the other hand, Faber will compete in his third UFC championship match but has yet to win a title. 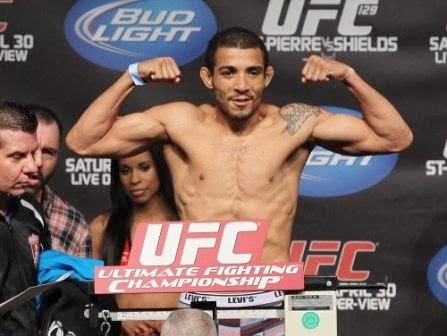 Plus, UFC 169 co-main event will see pound-for-pound great Jose Aldo keep his reign of dominance as he defends his Featherweight Championship title against Ricardo Lamas.